Woodlands School is located in Lewisham, South London and is dedicated to the development and education of children with behavioural difficulties. The project brief was to expand the existing school and create new classroom spaces along with a new entrance and indoor recreational space. 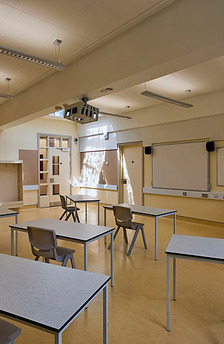 The existing school suffered from being a low-cost, lightweight construction and the temperature differences during the summer and winter months made it an uneconomical space to manage. It was also environmentally uncomfortable. 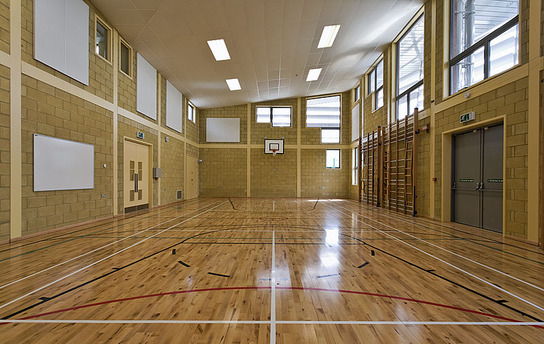 The new spaces were constructed with a predominantly natural ventilation system along with an underfloor heating system. 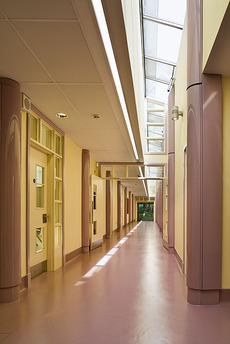 The building fabric was optimised with regards to building regulationU-Values and as such allowed the heating system to be smaller and more efficient. In spaces where there was a higher heat gain, earth ducts were used to ventilate the space where air is drawn in from above ground in a shaded part of the building (north side) and then passed below ground to the IT room introducing cool air negating the need for mechanical cooling. The electrical consumption was optimised with the use of high frequency electronic ballasts for linear fluorescent luminaires linked to presence detection and daylight dimming to reduce the overall lighting load by 30%. 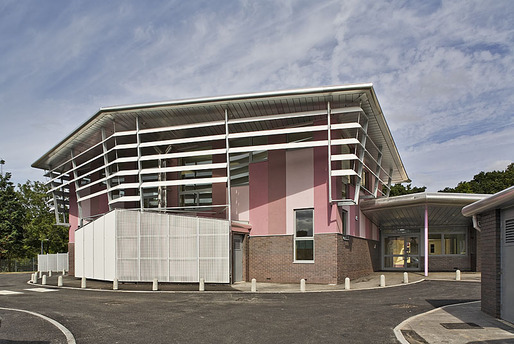 The School achieved a BREEAM for Schools ‘Very Good’ Rating.